Scout Killers have been burrowing away for the past five years shaping and honing their hugely captivating sound. 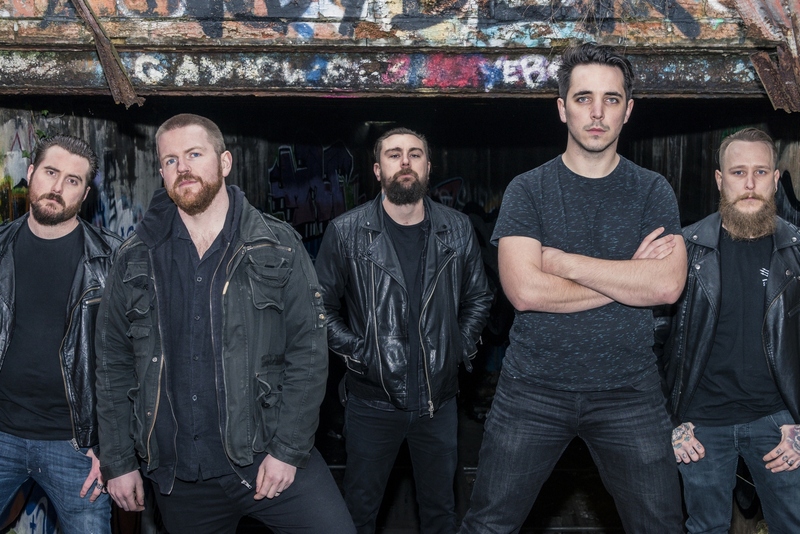 The industrious quintet are now set to reveal their best work to date in the form of their brand new EP, Deception, out 7th July. We had a sit down with the guys to get to grips with their background…. Scott Cox Singer, Beau Stevens Guitarist, Julien Morrez Guitarist, Tom Graham-Hibbs Bass, Chris Phillips -Drums. Originally, we are from all over the place: Hull, Trowbridge, Reading, Oxford, and Julien is from Bahrain. I met Beau through bandmix.com, and Chris, Julien and I kind of went to Bath Spa uni together. I knew Julien through a couple of classes, but we never actually hung out until Julien showed up at practice one day after Beau had invited him. Who knows what Chris was doing there or why we never saw him, but he swears blind that he went to the same uni as us. Beau was originally in a band called KarmaDeva, but he left that to start Scout Killers. After a couple of early line-up changes we all met and SK was formed. That was about 5 years ago. Tom is the new guy. He joined after our old bass player moved to Australia. That was about the time that we started writing the new record Deception. I think it was about three years ago that we started to take things more seriously. During the time we were writing the Stand Your Ground EP. We all have different tastes when it comes to music. Julien is a big Korn and Red Hot Chili Peppers fan. He also loves the stuff that Tom Morello does. Chris and Beau like a lot of metalcore and classic rock stuff. Beau and Chris have a bromance thing going on where the first song they both learnt was Don’t Cry by Guns and Roses. Tom loves his Black Flag and basically kicking people’s heads in I guess. I like everything really. I do some acoustic stuff when I’m not with the band and I generally end up playing Wicked Game by Chris Isaak, and a soft cover of Carrion by Parkway Drive. We have toured the whole of the UK over the years and played a lot of festivals. When it comes to bands, we’ve shared a stage with Fearless Vampire Killers, The Computers, F.O.E.S, and IDIVIDE on their UK Tour. Rock that’s heavy enough to have a double pedal, but soft enough for you to understand what the lyrics are. We are planning a tour that will start at the end of June/early August. We’ve got a couple of shows abroad on the burner as well. Just go to scoutkillers.com and surf our web page.